Shapes open a world of possibilities for creating jewelry. Begin with the basic flat shapes: triangle, square, pentagon and hexagon, then move on to using these shapes in three-dimensional shapes such as a pyramid, cube, tetrahedron and more and open shapes like donuts. Patterns are also provided for ethnic jewelry such as the Tuareg Pendant and for natural motifs like the Trillium Necklace. 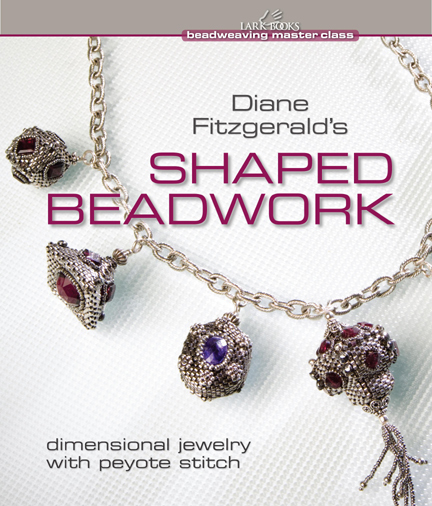 The shapes are created with peyote stitch and cylinder beads with a thread and needle. Some beadwork experience is helpful but instructions are written for even a beginner.